First-half unaudited profit at Philippine casino operator Travellers International Hotel Group Inc rose 353 percent year-on-year, on gross revenues that actually fell 1.5 percent. Net profit for the six months ended June 30 amounted to nearly PHP1.69 billion (US$31.7 million) compared to nearly PHP373 million in the prior-year period. The company – which runs the Resorts World Manila casino complex (pictured) under a venture between Philippine conglomerate Alliance Global Group Inc and casino cruise ship specialist Genting Hong Kong Ltd – saw gross revenues for the period slip by 1.5 percent year-on-year to PHP11.05 billion. The figures were given in a Monday filing to the Hong Kong Stock Exchange by Genting Hong Kong, prior to Travellers International’s own filing to the Philippine Stock Exchange. “The decline in gross revenues for the first half of 2018 was due to the closure of the second floor gaming area as a result of the June 2 incident in 2017,” said Travellers International, referring to an attack on the Manila casino property by a lone gunman who also set fires, resulting in 37 reported deaths. 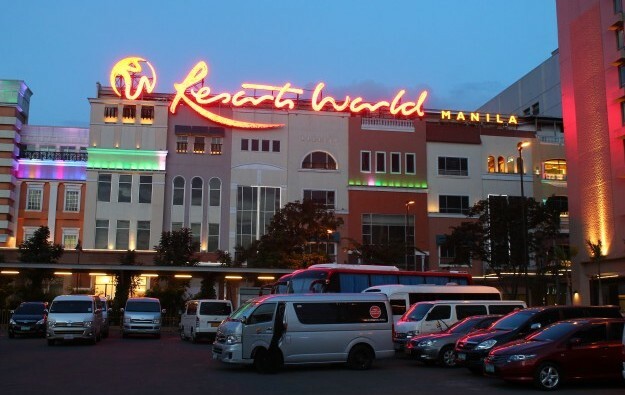 Gross gaming revenue at Resorts World Manila for the six months ended June 30 amounted to PHP9.01 billion, a decrease of 2.6 percent compared to nearly PHP9.25 billion a year earlier. But the casino operator said that it benefited during the reporting period from a surge in non-operating income. When including finance income and other non-operating income, Travellers International realised nearly PHP1.66 billion in “other” income in the first half, compared to a loss of PHP666.8 million in that segment a year earlier. The casino operator also booked as income PHP22.4 million in unrealised fair value gains on available-for-sale financial assets. Positive factors in the group’s first-half results included “unrealised foreign exchange gains in connection with the company’s foreign currency denominated deposits and recognition of a one-time non-operating gain during the first half of 2018.” The firm did not provide further details on the latter. “We continue to see growth in both our gaming and non-gaming business,” said Kingson Sian, president and chief executive of Travellers International, in a prepared statement include in a press release separately filed by the firm to the Philippine Stock Exchange. According to Travellers International, the Grand Wing will have three international luxury hotels – Hilton Manila, Sheraton Manila Hotel, and Hotel Okura Manila, adding approximately 940 rooms. It will also include new gaming, entertainment, and retail spaces, as well as six basement parking decks.